5.25" x 8.5" x 2"
A reference to the comfort of cookies can be found in Self Portrait in a Cookie Box. 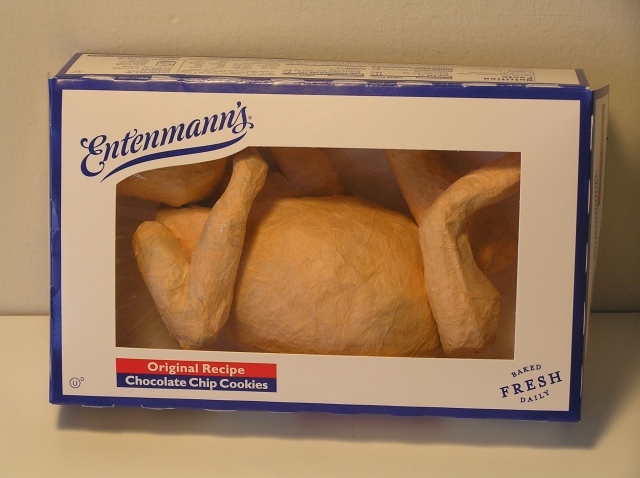 Like a medical anomaly preserved and on display, an embryonic figure is crammed into an Entenmann’s chocolate chip cookie box. Closed up and protected in this false womb, the baby consoles itself with sugar treats.